You often hear the term ‘cloud computing’ but do you know exactly what it means? Simply put, cloud computing is computing based on the internet. Historically applications and programs would be run from physical computers and servers but cloud computing enables people to run these same applications through the internet. Cloud-based services give businesses the flexibility to scale up and scale down services as opposed to hosting applications internally and paying for a set amount with no flexibility available. Disaster recovery is important for all businesses but very often smaller businesses are reluctant to invest in such a service due to lack of cash and expertise. Cloud based technology has enabled smaller companies to sensibly afford such a service. Cloud computing removes the need for lots of hardware. For example with cloud telephony you simply pay as you go and enjoy a subscription-based model that’s great for cash flow. Cloud based document sharing can help your team work together through offering the ability to share and edit documents. Cloud computing enables your team to work from anywhere. If your team members have an internet connection then you can offer your employees the ability to work from anywhere through cloud computing. Just one or two of the benefits would be enough to convince many businesses to move their business into the cloud. But when you look at all of the benefits its totally convincing. 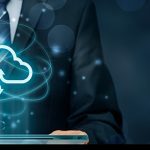 The post Why you should move your business to the cloud appeared first on DMC Canotec.